This Lion and Shield Wall Stencils Design can be used for many other things than just walls. It would look great painted on a wooden crest and hanging from an ornate curtain rod bar. The beauty of working with stencils is that you don’t have to settle for what’s available in art. You can create your own art and paint with the colors that will best coordinate with your decor. There is no better way to match the style of your home than to create you own Stencil Art. It’s not easy these days to find regal art like this and if you are looking to add a touch of your own ancestry into your decor this lion and shield wall stencils pattern would be perfect. 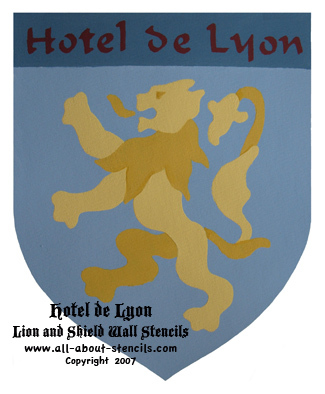 Image putting your family name along the top instead of Hotel de Lyon. By the way, you may find an interest in Celtic Stencils too where you’ll find a free stencil and the Celtic Cross Stencil. 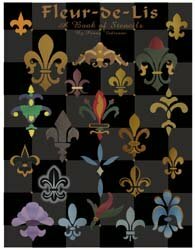 We are thrilled to introduce our selection of downloadable and printable Stencils Designs. Instant gratification at its finest! You don't need a special printer - these designs are specially formatted to print straight from your home computer on standard letter sized paper. Once downloaded, you will have your complete stencil booklet with patterns and instructions. Just click, buy and print! 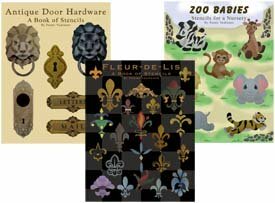 The books below have a variety designs that will work well with your concrete stenciling for homeowner project. Each book will come to you as a downloadable pdf file in your e-mail. Just check your e-mail after purchase for the link to connect to your file and print or save. It's that easy! Click on any picture for Project Ideas! 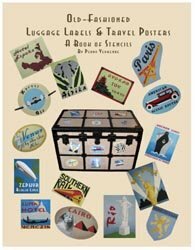 Paint some travel posters or decorate an old steamer trunk with these 15 designs. 5 are Hotel Advertisements, 5 are Transportation Ads and 5 are Destination Ads (like the Eiffel Tower stencil from Paris and New York). 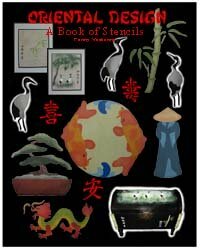 This collection includes 16 designs- Chinese Dragon Stencil (which I think would be great in a Medieval Crest Design), Bamboo, Oriental Figure with Coolie Hat, Ying Yang Koi, Bonsai Tree and 3 Cranes plus 10 Chinese Symbols (Eternity, Friendship, Happiness, Harmony, Long Life, Peace, Prosperity, Tranquility, Truth and Dragon. Hey! Don’t forget that I (and everyone else) want to see what you have done with your Lion and Shield Wall Stencils. Just click on Stenciling Projects to get your masterpiece showcased here on this web site. Won’t that be exciting! Or if you have any questions or want to share information join in on the Stencil Blog. Well, I hope to hear from you soon. Return to Home Page from Lion and Shield Wall Stencils. Return to Stencil Designs from Lion and Shield Wall Stencils.